Pumpkin spice may get all the seasonal glory (and its fair share of derision) but fall flavors — from late harvest fruits like apple and pear to harbingers of the colder weather to come like cinnamon and citrus — abound on recently debuted drink lists. 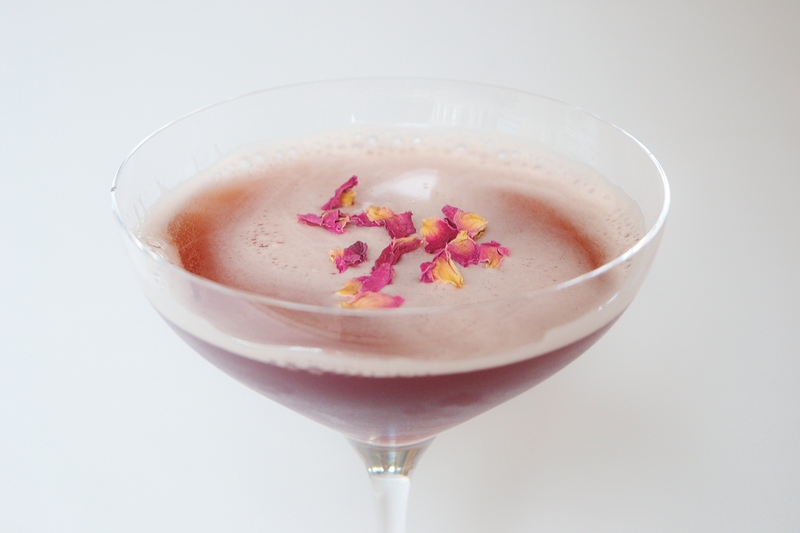 Have a peek at some of the best and brightest offerings from this season’s crop of new cocktails. 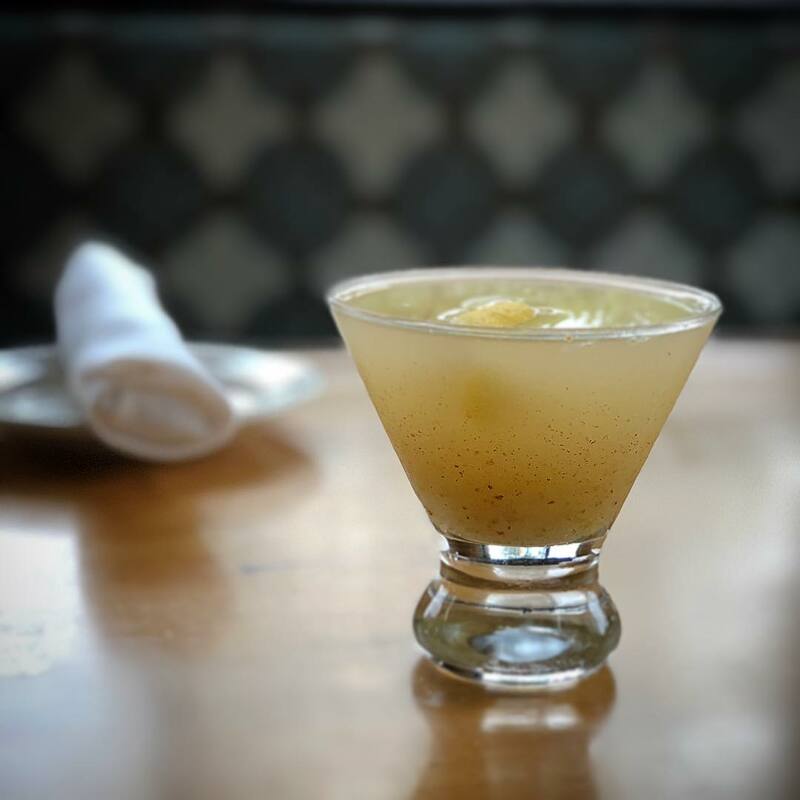 Move over apples, pears get top billing in this seasonal fall sipper at Ashmont Grill. Once grown in abundance ’round these parts, pears often play second fiddle to ubiquitous apples, but not in Dot. 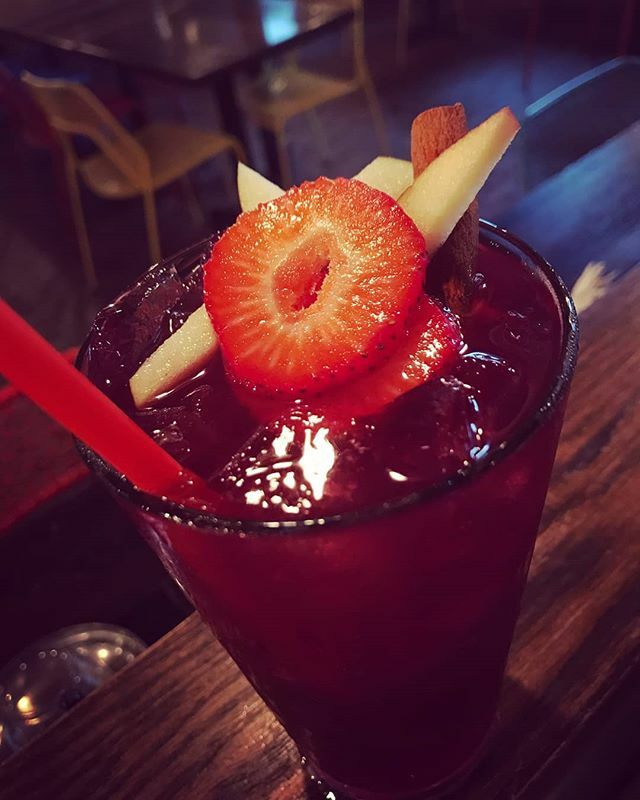 The delicious (other) fall fruit gets incorporated into The Fall Warm Up, a mix of vodka, fresh lemon, vanilla, orange zest, spices and a pear syrup. Now, how do you like them…pears? Imagine sitting on a porch in a cabin in the woods, with brisk fall air breezing past you, cozied up in a flannel and with your cocktail friend Mr. Bingle. 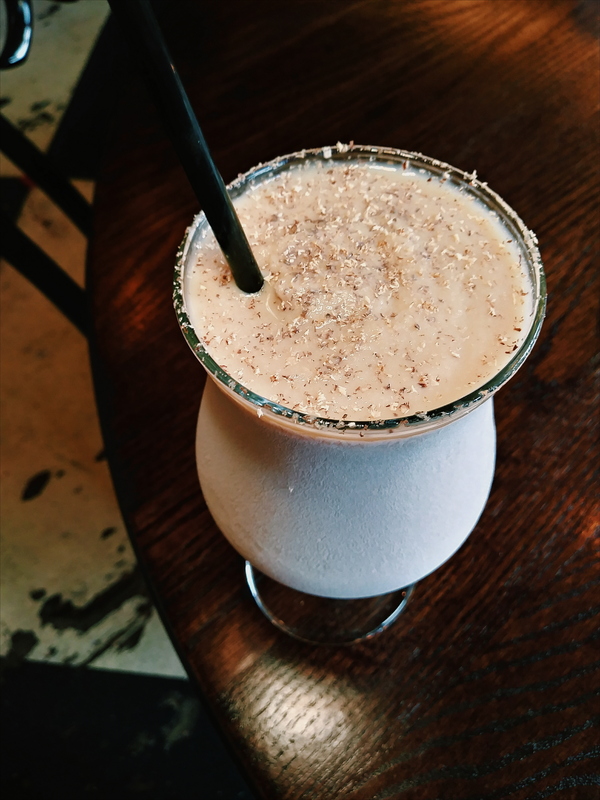 Made with frozen chicory coffee, Teelings whiskey, milk and pecan orgeat, it’s a Buttermilk & Bourbon sipper that’s sure to make you feel all of the New England fall feels. Explorateur’s Loge Noir is almost like a cup of tea, but better…because it’s boozier. 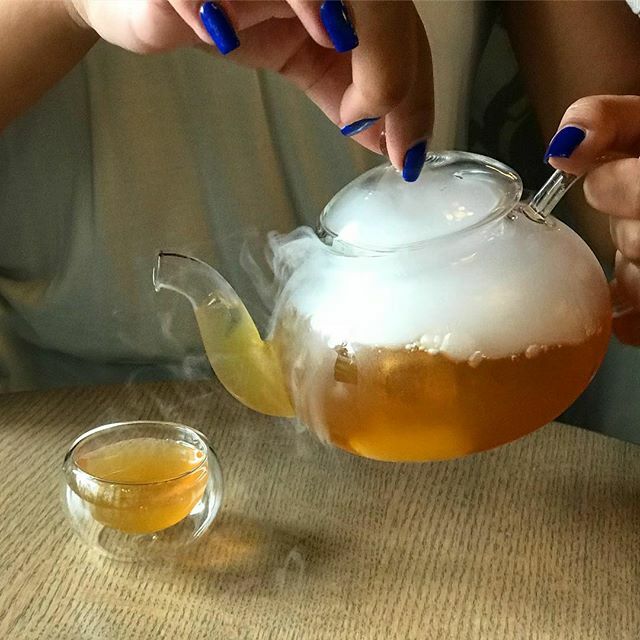 Treat your cough and sniffles with some black tea bourbon, black fig, black syrup, lemon and bubbles that’s adorably served (hot) in a kettle. 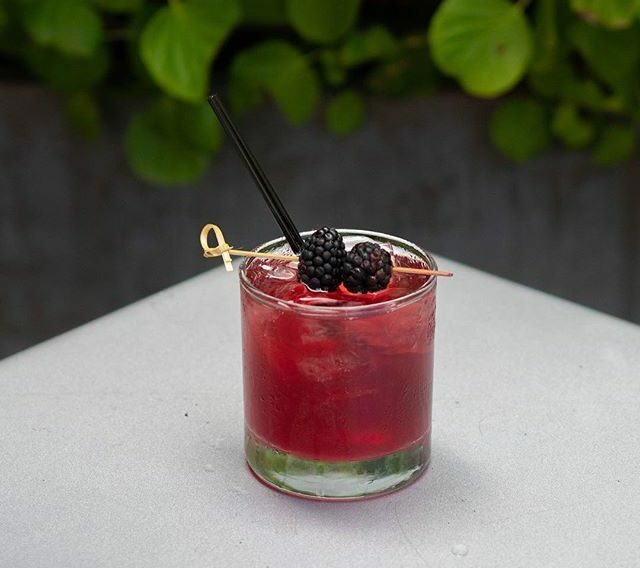 A 21st century twist on a ’80s era libation, The Bramble On is Gaslight‘s sippable tribute to Led Zepplin — and the season! They’ve swapped gin for silver tequila and blackberry liqueur for honey liqueur, plus they’ve added cassis & lemon topped with blackberry. It’s bold and smooth (just like the song) and its coloring matches the changing leaves. 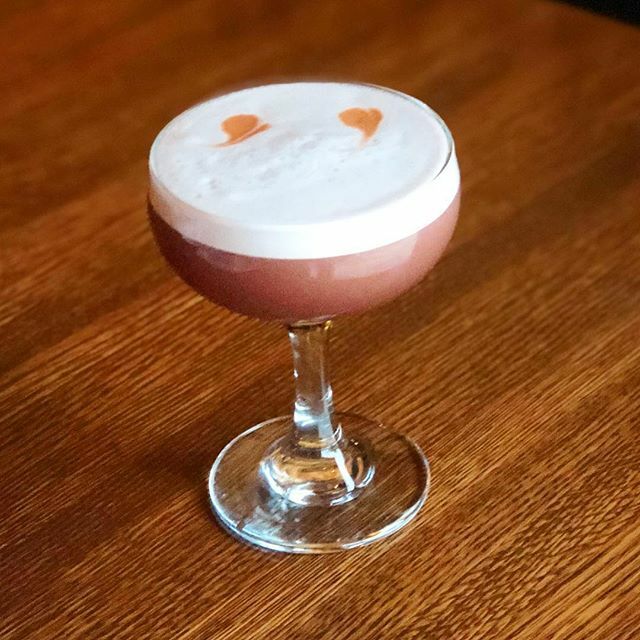 For their aptly-named seasonal cocktail, October Trust, the peeps at The James Pub and Provisions add some plummy elements for a fall beverage that still has a tiny hint of summer. Rye, plum purée and bitters, cinnamon syrup, and lemon juice combine to make this a deep and slightly fruity autumnal drink. 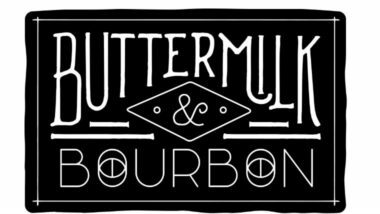 Little Donkey has dropped two special additions to their drink menu this autumn. 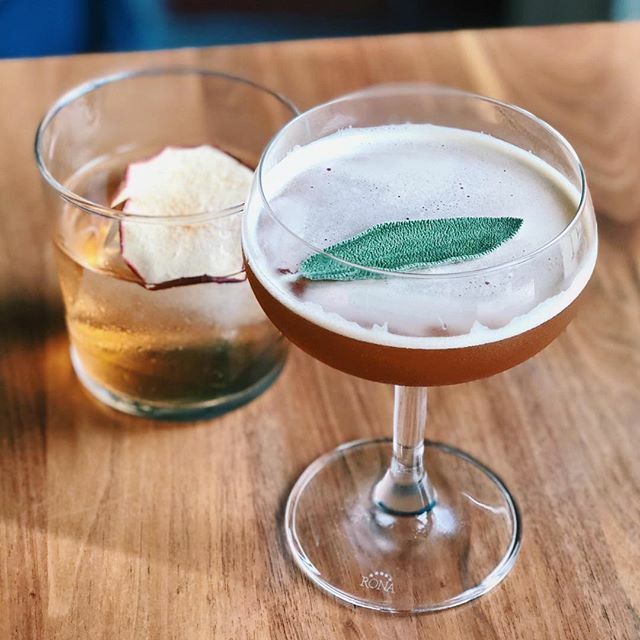 My Cousin Feeney (with rosé vermouth, habanero, bitter bianco and Pommeau apple cordial) is a fun, fruity and spicy drink to sip on when you’re looking for an approachable way to unwind. 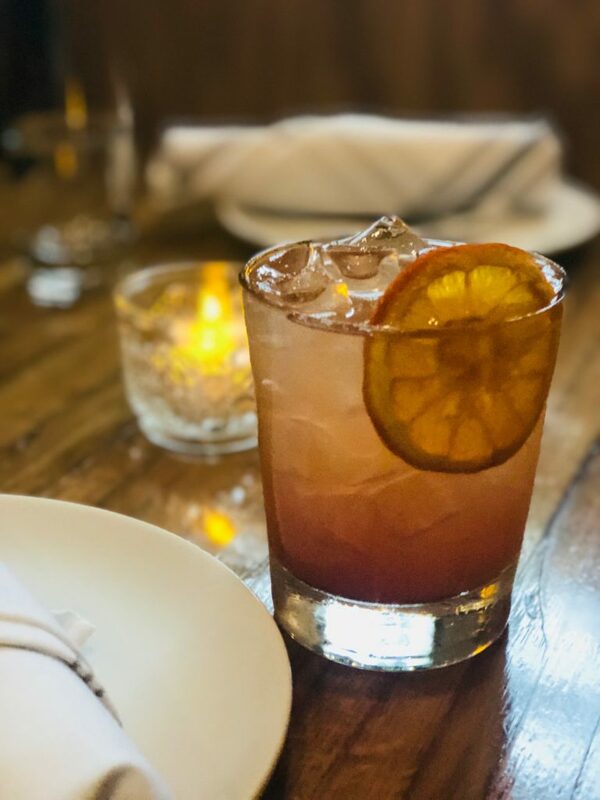 For something slightly more sophisticated, the Sage 5 Clinger delivers featuring Four Roses bourbon as the base accompanied by lemon juice, star anise sage syrup, and Amaro di Angostura. The medley of flavors in Meritage‘s Mata Hari is the boozy embodiment of the transition from summer to fall. The VSOP cognac and chai-infused sweet vermouth provide that take-the-chill-off element while the bright flavors of pomegranate and lemon evoke summer days. Its presentation is also pretty easy on the eyes so you can go smoothly from one season to the next. 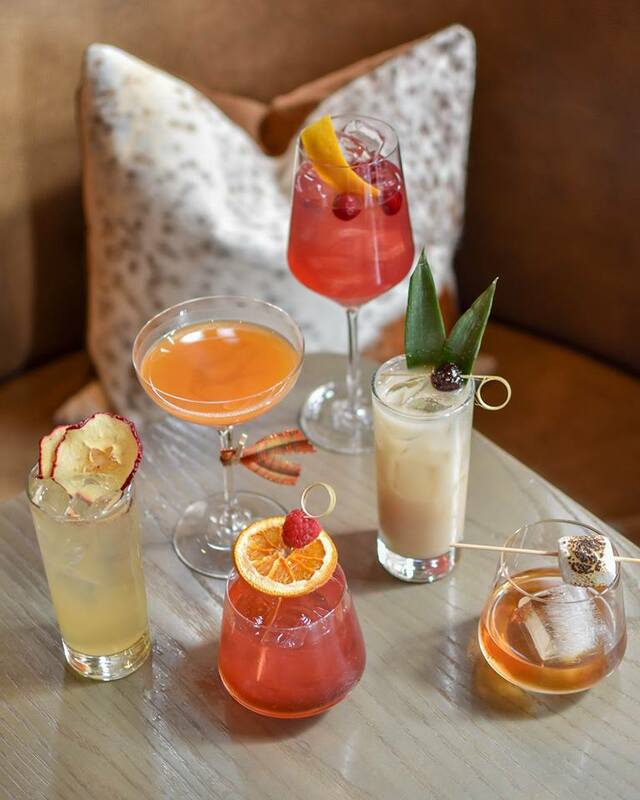 The new fall cocktail menu from Mooo….at XV Beacon has something for everyone. 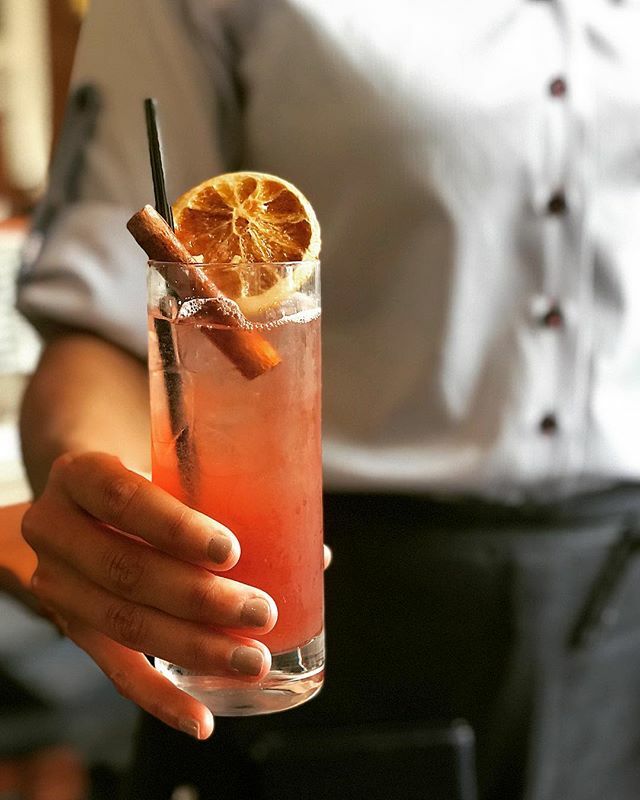 Lead bar chef, Deborah Lawson, presents six new cocktails that are sure to get you in the fall-ish state of mind. With flavors like vanilla, pumpkin, cinnamon and chai, this cohesive group of cocktails will get you in the mood for apple pie-making, pumpkin-carving and all sorts of autumnal activities. 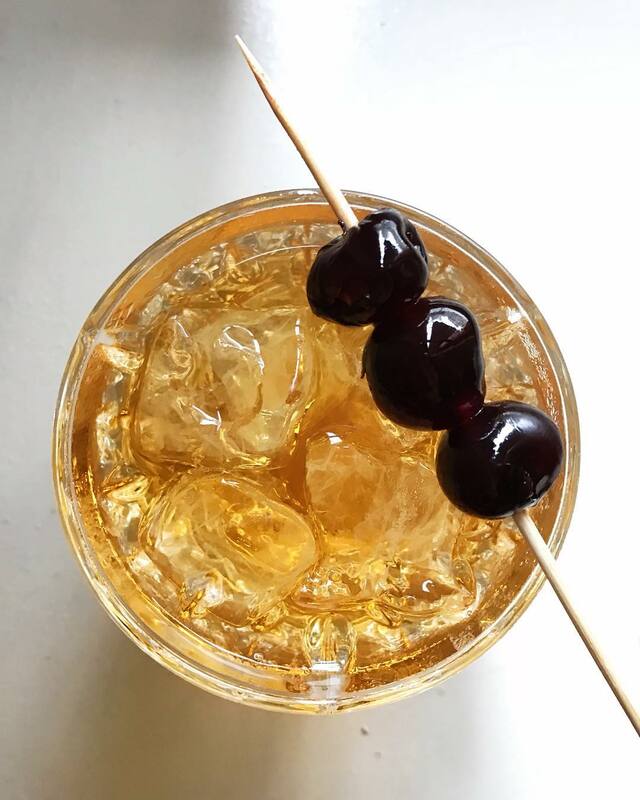 The timeless Old Fashioned gets another revamp at Oak Long Bar + Kitchen with their Peachy Keen. Peach infused Markers Mark bourbon, demerara, and peach bitters add a sweet touch to this go-to drink. 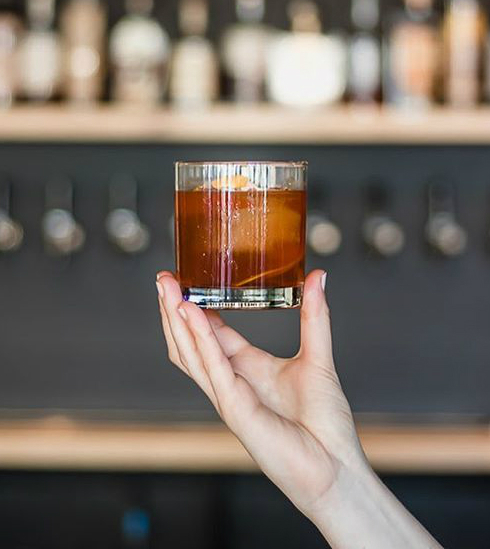 Prairie Fire‘s Old Fashioned may be the perfect fall drink. The base is Old Forester Bourbon Whiskey (made by the same family for five generations), and Prairie Fire adds a dash of bitters and sugar into the mix. Get your family (five generations if you can manage it – if not, friends will do!) together for one of these along with one of the restaurants hearty, wood-fired fall dishes. The Smokeshow at Railstop is definitely a showstopper, in both looks and taste. 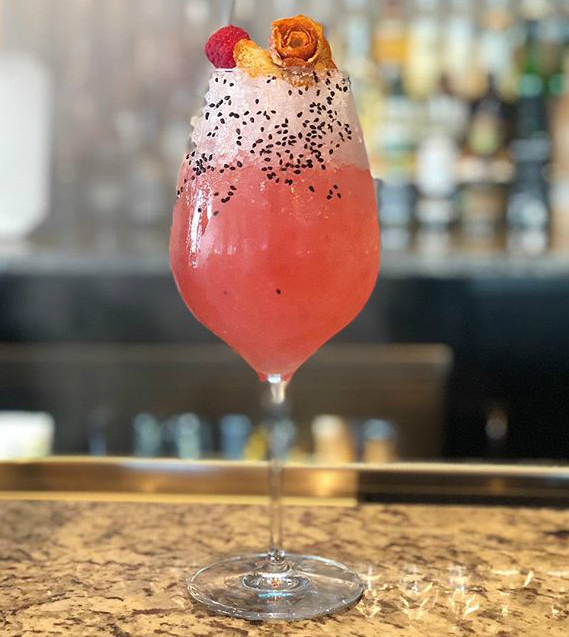 This fall cocktail – made with raspberry infused bacanora, Oleo Sacchurum house-made orange cordial, lime juice, and toasted black sesame sugar – has a few hints of summer balanced with autumnal flavors for a perfect season-bridging drink. While fall marks the end of farmers market season, the drinks keep pouring. 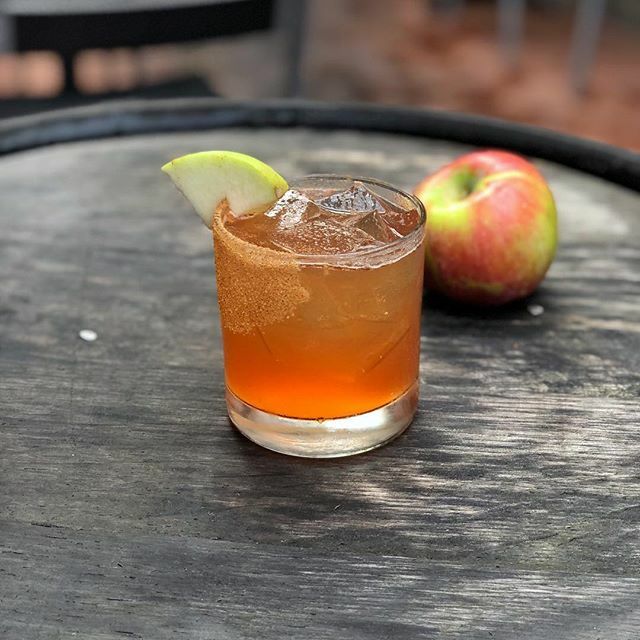 Rosebud‘s Farmers Market is a bourbon-based cocktail that will get you feeling nostalgic about those summer days perusing the stands at Boston’s many farmers markets, but excited for apples, pumpkins, and colorful leaves. Bacardi 8 is the backbone of the Autumn Punch at the Rowes Wharf Sea Grill in the Boston Harbor Hotel. Allspice dram and cinnamon syrup will make you feel all warm and cozy as the weather starts to cool — and a little extra kick to keep you coming back for the rest of the season. Scotland, meet France. With a mixture of scotch and absinthe, the Kilted Frenchman at Southern Proper blends dry curacao, lime, coconut and molasses bitters for a fall cocktail that’ll have you wishing you were watching the leaves change on the Scottish Highlands or maybe the Alps. Sulmona means “to gather” and you’ll want to gather your friends together for drinks at Delio Susi’s uniquely designed Italian restaurant in Cambridge. 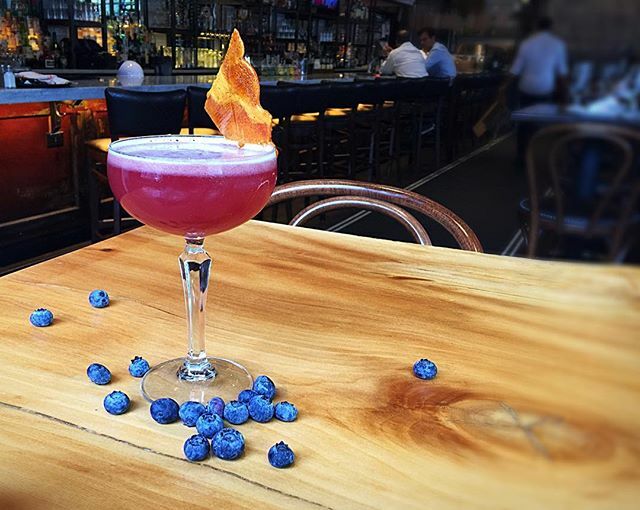 The fall drink lists boasts beverages like the Jeff Spicoli “Tastey Wavesss”, which is made with Angels Envy bourbon, lime, honey, blueberry and topped with prosecco. 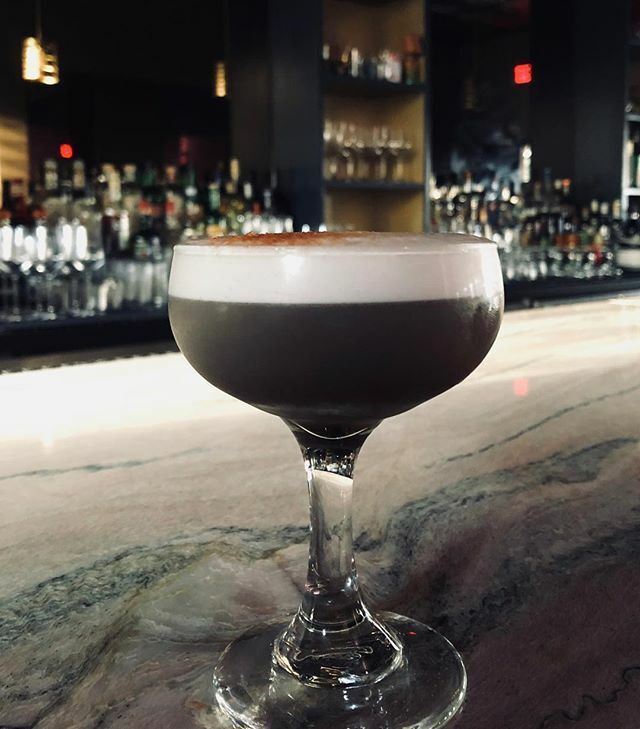 There’s nothing wicked (wicked good, maybe) about Temple Bar‘s Voodoo — a magical little mixture of black fig vodka, cassis, pimento bitters, egg white and lemon. Get yourself down Mass Ave to let the team at the Cambridge restaurant do that voodoo that they do so well and whip you up a something from their fall cocktail list. The boys of summer may be sticking around Fenway a little longer, but the team at Tapestry has fall on the brain. 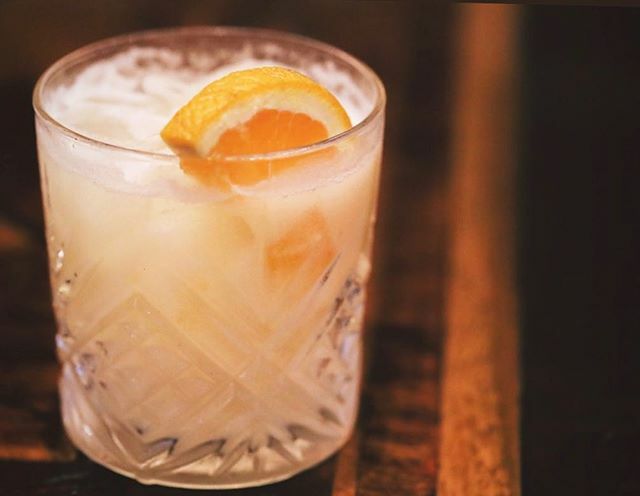 They’ve rolled out a pisco sour with a dash of Ceylon cinnamon, helping to transform this warm weather drink into one that’s well-suited for the season’s brisk weather. Of course, it also well-suited to keep you warm while you root, root, root for the Red Sox well into October. Margaritas aren’t just for Cinco de Mayo and Taco Tuesdays – or summer, for that matter. 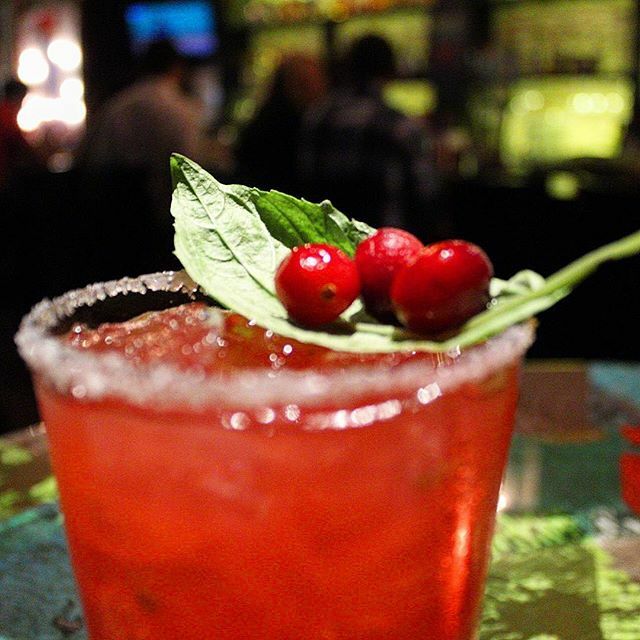 The Cranberry Basil Margarita at Tico incorporates one of fall’s iconic ingredients (at least ’round these parts). The combination of cranberry-infused Blanco tequila, citronge, fresh lime and cranberry juice, may will remind you of that delicious secret family recipe for cranberry sauce.